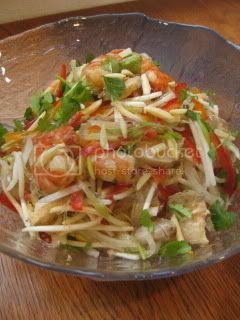 Donabe makes my summer cooking fun and delicious. 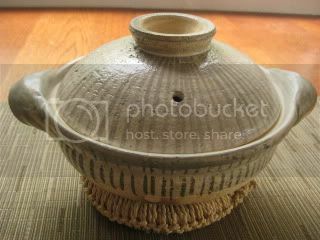 With microwavable donabe steam-roaster, "Tochinsai", I can prep even ingredients for salad very easily. 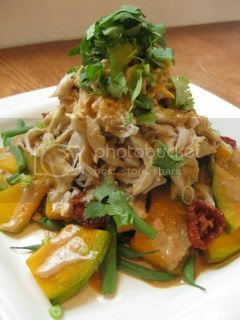 Sake-steamed chicken, kabocha, and green beans in Chinese-style sesame sauce. The main ingredients were all cooked in Tochinsai in microwave, and they came out really nice. 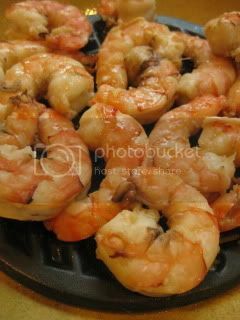 Sake-nanpla marinated shrimp was steam-roasted in Tochinsai for yam um sen (Thai-style glass noodle salad). 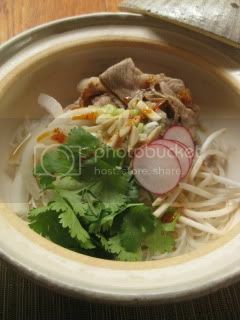 Mini-size classic-style donabe, "Rikyu-Tokusa" was used as a serving vessel for bun (Vietnamese-style rice noodle salad).